We could not have had such a successful meeting without the great people-attendees, speakers, poster presenters, volunteers, committee members, section representatives, board members-that were a part of the meeting. We look forward to seeing you in Portland at the 2010 Summer Meeting. Did you miss the meeting? We've got a sample of what you missed! Snow trapped you at home? Couldn't get off the days you needed to attend? No worries! We broadcast and recorded some of the AAPT events (below) and you can rewatch them whenever you like. The Winter Meeting will not only have everything that makes National Meetings so great, but also feature concurrent and jointly planned sessions with the American Physical Society (APS). A dedicated AAPT member and physics educator, Betty Preece was an inspiration to many. Every year during the winter meeting, Betty would purchase lunch for a group of underprivileged students from nearby schools and introduce them to the SEES (Students Exploring Engineering and Science) program, which offers hands-on physics experiments as well as career guidance and some take-home goodies. AAPT is asking for donations, no matter how small, to help bring these students a fun-filled day and the gift of science education. Follow us and participate on Facebook and Twitter! Visit the Press Room for information on Press Passes, Press Releases, Press Conferences, and other relevant information. 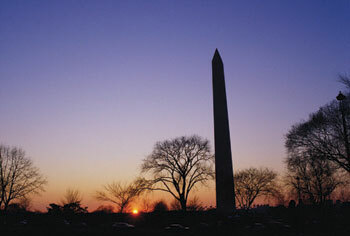 Some photos courtesy Destination DC and Marriott.